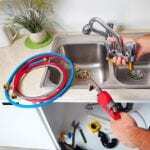 Get professional help with your plumbing repair needs by giving us a call in Mooresville. 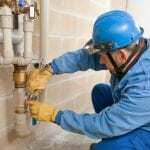 Plumbing Repair in Mooresville – Although it might not seem like it, your home’s plumbing system is extremely intricate, since it’s made up of so many different components. For this reason, when something goes wrong, it can be difficult to determine exactly what’s going on and what you need to do to fix it. Luckily, you don’t have anything to worry about, since you have us here at Hall’s Plumbing to help you with all of your plumbing repair needs. When it comes to plumbing repair, there’s hardly any job we can’t handle in the Mooresville, North Carolina area. For example, we can fix water heaters, well pumps, sewers, and many other types of plumbing appliances without any problem. All we ask of you is that you sit back, relax, and rest easy knowing that your plumbing repair job is in good hands. You’ll save time and money. While hiring a plumber from our team can be an investment, doing so requires much less time and much less money than if you did the job yourself. This is because we already possess the knowledge and equipment needed to do the job right. We’ll know what to do to fix the problem from the very start, so the problem won’t get any worse. We won’t stop until we’re done. When we come to your home to work on a plumbing repair, we won’t stop working until we’re confident the repair is complete and correct. We’ll give you advice on how to avoid similar problems in the future. 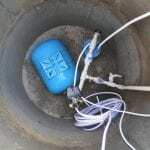 We’ll also be more than happy to answer any questions you might have about maintaining your plumbing system. 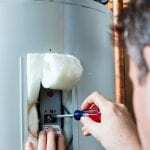 Ultimately, hiring a professional to take care of that plumbing repair ensures peace of mind knowing the job was done exactly like it should be. Our goal is to give you this peace of mind and also provide you with exceptional plumbing services that exceed your expectations in every way. Once you call us for help with a plumbing problem, we won’t leave you hanging. We guarantee that we’ll show up on time and get right to work after we arrive. Our main priority, in addition to providing excellent customer service, is to make sure we do the job right the first time in a highly efficient manner. The next time something goes wrong with your plumbing system, don’t ignore it and hope it goes away on its own. Instead, contact us at Hall’s Plumbing, and we’ll be there as soon as we can to help you out. At Hall’s Plumbing, we offer high-quality plumbing repair services in Mooresville, Iredell County, Conover, Newton, Maiden, Mt. Pleasant, Taylorsville, Davidson, Kannapolis, Sherrills Ford, Denver, Statesville, and Terrell, North Carolina.